I carry around a collection of coins from my travels in my purse. Chilean pesos, Indian rupees, a US quarter, some Danish Kroner, Euro centesimi from Italy. I found this little stowaway whilst counting my pennies for the UPS man (he’s already tried twice to deliver my shoes and if I don’t have £24.42 today I’m SOL). 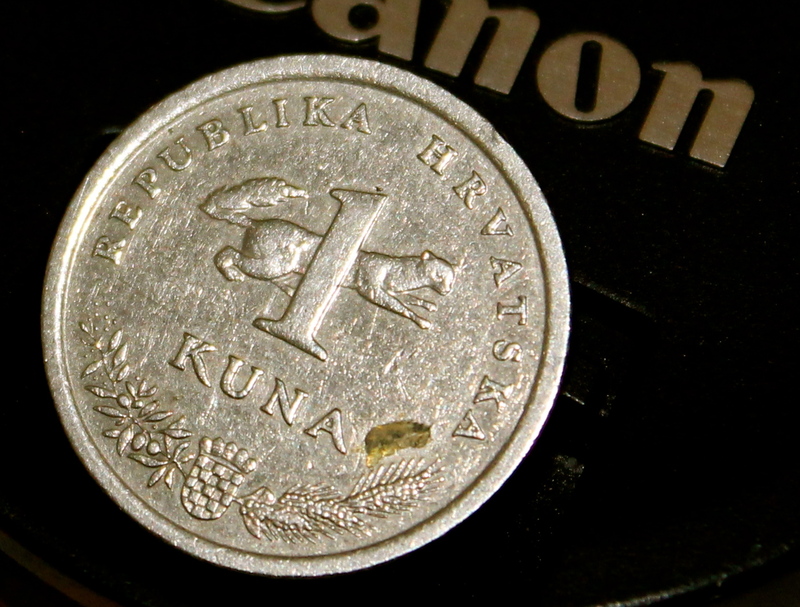 It’s a Croatian 10 Kuna coin. In my purse. I’ve never been to Croatia. What a cheeky little memento of a journey yet to come!